Waxing is the best, relatively painless semi-permanent hair removal method leaving you hair free for up to 4 weeks! So put down the razor, say goodbye to stubble and ingrown hair and embrace the smooth feeling of freshly waxed skin! To wax, or not to wax - that is the question. Whether tis nobler in the mind to suffer briefly in the quest for long lasting smooth skin….or to take to razor daily and live with stubble. Shakespeare probably wasn’t into waxing but the age old questions remain as to whether the results of waxing are worth the cost and effort and where Doing It Yourself is feasible. The hair will regrow finer, softer and lighter coloured your skin will feel smoother. Remains hair free for 3 to 4 weeks. Waxing removes the entire hair including the root, all from the follicle. With regular treatments hair reduction can be long-term, even permanent removal. Drop those tweezers! With waxing it's possible to remove more hair at once and at a faster rate - think of all the time you'll safe! That said there can be a degree of discomfort in more sensitive areas or during your first treatment. And you do have to wait for hair to grow back so it’s long enough to be removed again. Not everybody can be this patient and some wax only before holidays or special occasions. Attempting it at home involves melting the wax in a microwave or hot water. If you don’t get the temperature just right you can end up stuck and bruised. Bravery to rip off the strips whilst knowing when this is going to happen can also be a barrier. It’s often best to enlist the help of a professional. Waxing is equally effective with light and dark hair with strength and speed of growth more important. It means you can go without tights or slip into a sleeveless top or a swimsuit without having to think about whether or not you’re hair free. You can always step up to laser or IPL to accelerate hair reduction, but do remember that you shouldn’t wax in between these treatments as they act on the hair root which in waxing is pulled out. 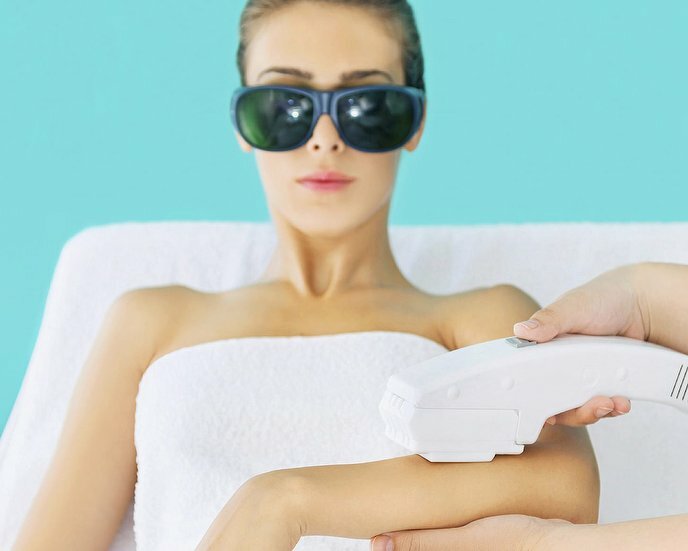 Shaving and depilation are suitable as the hair removal is only superficial – that’s why with these techniques hair reappears faster to come through. Waxing is equally effective with light and dark hair with strength and speed of growth more important. It means you can go without tights or slip into a sleeveless top or a swimsuit without having to think about whether or not you’re hair free. The most popular body areas women wax are leg (half or full), bikini (going as far as Brazilian and Hollywood) and under- and forearms. Facial waxing tends to be used to shape eyebrows and on the upper lip, chin and cheeks where the growth is hormonal. Specialised waxes are available for facial hair and other sensitive areas. You might be given a choice between Lycon and strip wax. After your treatment you’ll usually be offered a lotion such as aloe vera to soothe the skin and reduce inflammation. About a week after waxing regular exfoliation can reduce the risk on the odd ingrowing hairs. There are also various hair reduction ointments which can be applied. Whether it’s for aesthetic or hygiene purposes, smooth skin or hair eradication waxing is the most common form of full hair removal. Where will you start with hair removal? Waxing vs. sugaring: welke ontharingsmethode kies jij? Je benen (laten) harsen, hoe werkt dat? “Weet jij waar ik nu meteen een wax kan boeken?” En of we dat weten. Je kent het wel: je bent net klaar met scheren en de eerste stoppels dienen zich alweer aan. En wat dacht je van plakkende oksels na een harssessie? Zo vervelend. Gelukkig is er een alternatief: sugaring. Een snelle, pijnloze en bovendien mess-free manier van ontharen. Ben je nieuwsgierig geworden? Lees dan snel verder. Bij deze Rotterdamse waxsalons kun je ook ’s avonds terecht! 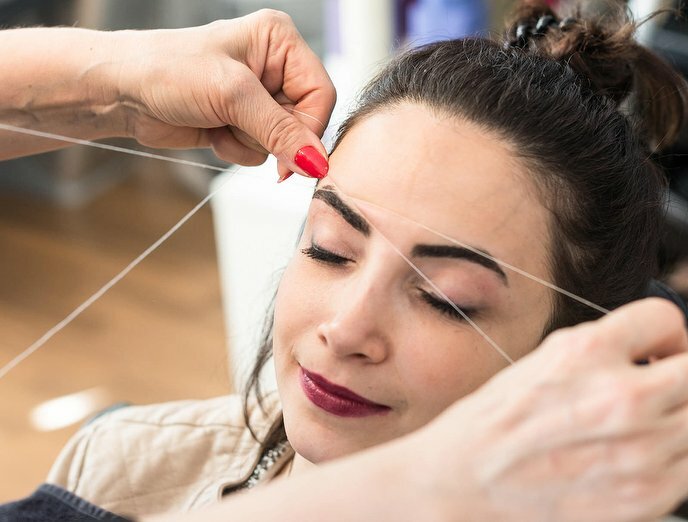 If you are after perfectly shaped eyebrows or a peach fuzz-free face - facial threading is the answer: it gives your face a smooth finish for up to six weeks. Did we mention how precise and fast the treatment is? You’ll be in and out of the chair within just a couple of minutes. 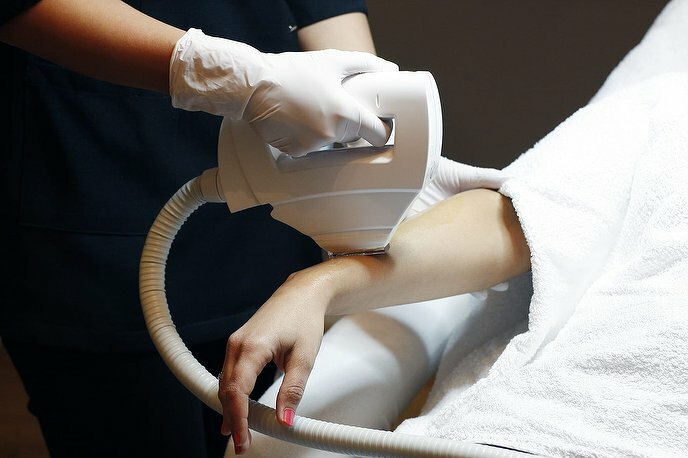 IPL (which stands for intense pulsed light) is an unrivalled way to wave goodbye to your fuzz forever. In fact, with IPL you can remove both small and large areas of hair in just a few sessions. Stop wasting time shaving and waxing! Depending on your skin, hair growth and the select treatment zone, an average of 6 to 12 sessions are needed to give you the desired result. Put your fuzz in the firing line. Laser hair removal is a way of zapping unwanted hair using intense pulsed light to disable the follicle. It kills hairs from the root and helps to prevent those nasty in-growers too. Multiple sessions are needed to give you that desired result: silky smooth skin!